The rupiah continued to weaken on Monday, falling to Rp 14,005 per United States dollar at 10 a.m. on the spot market as quoted by Bloomberg, a 0.35 percent depreciation after closing at Rp 13,955 per US dollar on Friday evening. Meanwhile, the rupiah exchange rate, according to the Jakarta Interbank Spot Dollar Rate (JISDOR) on Monday, was Rp 13.995 per US dollar, 0.02 percent lower than its position on Friday of Rp 13.992 per US dollar. Last week, the rupiah’s exchange rate was consistently stronger than Rp 14,000 against the US dollar. 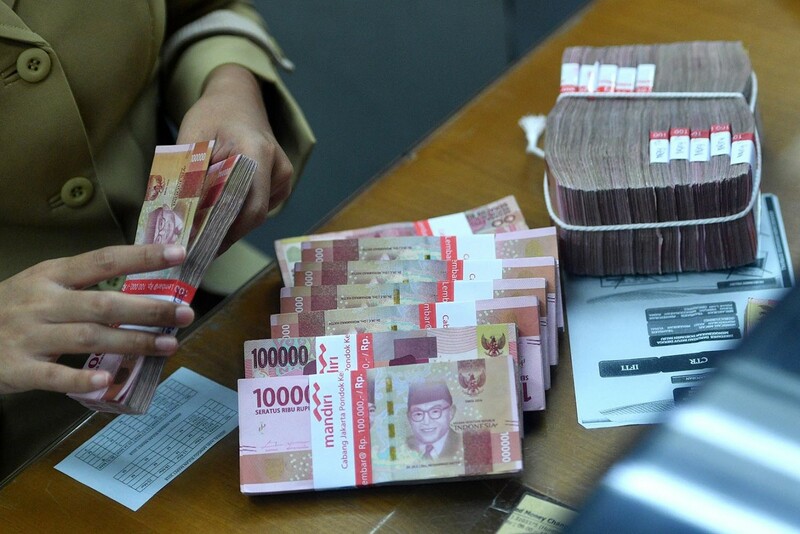 The rupiah’s depreciation was in line with the increase of the dollar index to 96.64 on Monday from 96.63 last week. Samuel Sekuritas Indonesia economist Ahmad Mikail said the increase of the dollar index was triggered by a 0.03 percent weakening of the euro exchange rate against the US dollar. “The euro weakening was caused by the decision of the European Central Bank [ECB] to cut its inflation target in 2019 from 1.7 to 1.6 percent because of the weakening in the industry sector in Germany and Spain,” Mikail said as quoted by kontan.co.id. The pressure on the rupiah was stronger on Monday because of the widening of the current account deficit to 3.57 percent of gross domestic product (GDP) in the fourth quarter of 2018 from 3.28 percent of GDP in the previous quarter.